The humble tulip is a flower which is loaded with meanings so it's important to research these before sending tulips to a friend or loved one. As is the case with most flowers, the associations of tulips largely depend on which colour you opt for. 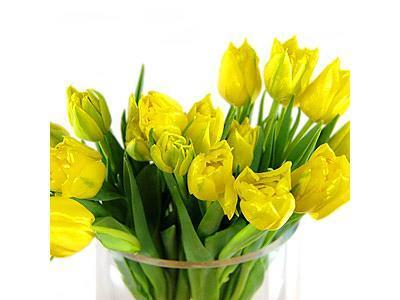 Yellow Tulips are thought to represent cheerfulness and joy, making them ideal as congratulations gifts. The optimistic ray of sunshine that is a tulip would also be well suited to a get well soon gift when you want to share some warmth and positivity with someone who is feeling poorly. Red Tulips are a potent symbol of perfect love with the velvety black centre thought to be symbolic of a lover's heart which is smouldering amidst the extreme temperatures of sheer passion! Our Mixed Tulips bouquet contains an assortment of red tulips amidst other colours, making it perfect for romantic occasions when you want to surprise and impress the object of your affections. 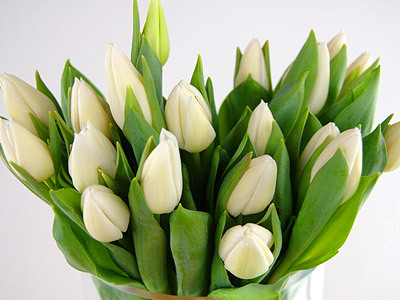 White Tulips are used to convey forgiveness which makes them the obvious choice when you need to send flowers to say sorry. These elegant flowers can also be used to represent innocence and purity. 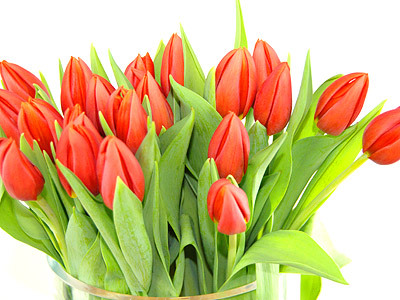 Orange Tulips are symbolic of energy, enthusiasm and desire. As such, a bouquet of orange tulips would lend itself well to a good luck gesture for a friend or relative embarking on an exciting new path. Pink Tulips symbolise caring, attachement and good wishes with less of a romantic slant than red tulips. 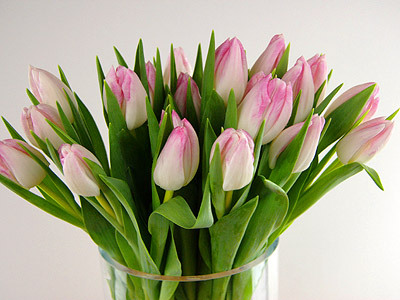 As such, a bouquet of pink tulips would be perfect for gifting to a close friend or relative on their birthday. 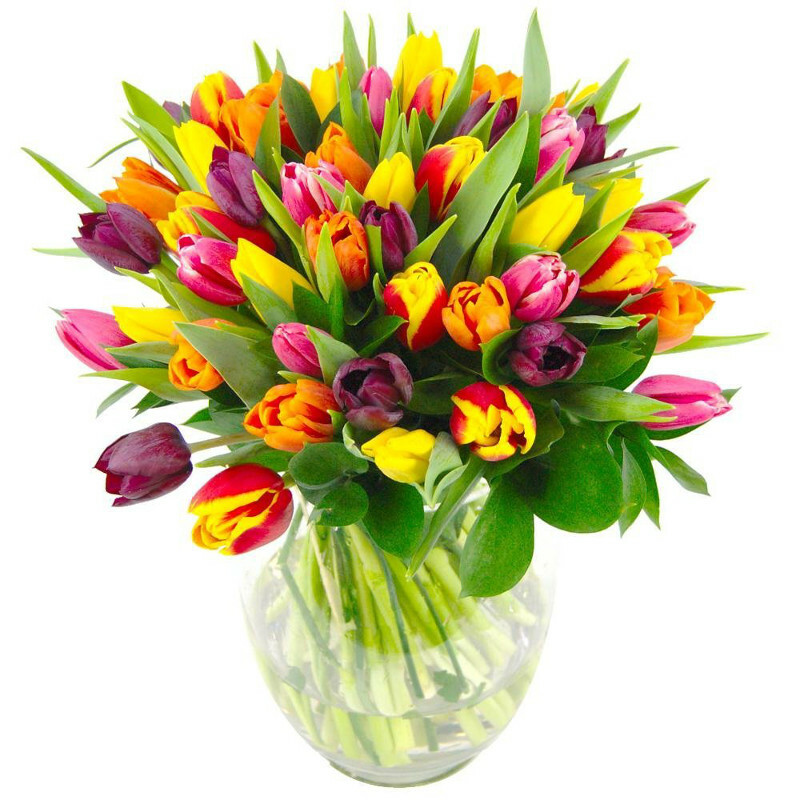 Our wide range of different coloured tulip bouquets offer versatility for any occasion. All of these bouquets feature in our great value Under £35 Flowers range, a great collection which demonstrates that you need never substitute quality for affordability. Pink Tulips are my favourite from the bunch of above Tulips. I like to gift pink tulip to my grand mother on her birthday and I will also buy white tulips which have also good meaning.